Our latest innovation in sleep technology has everyone buzzing about the best rest of their life. 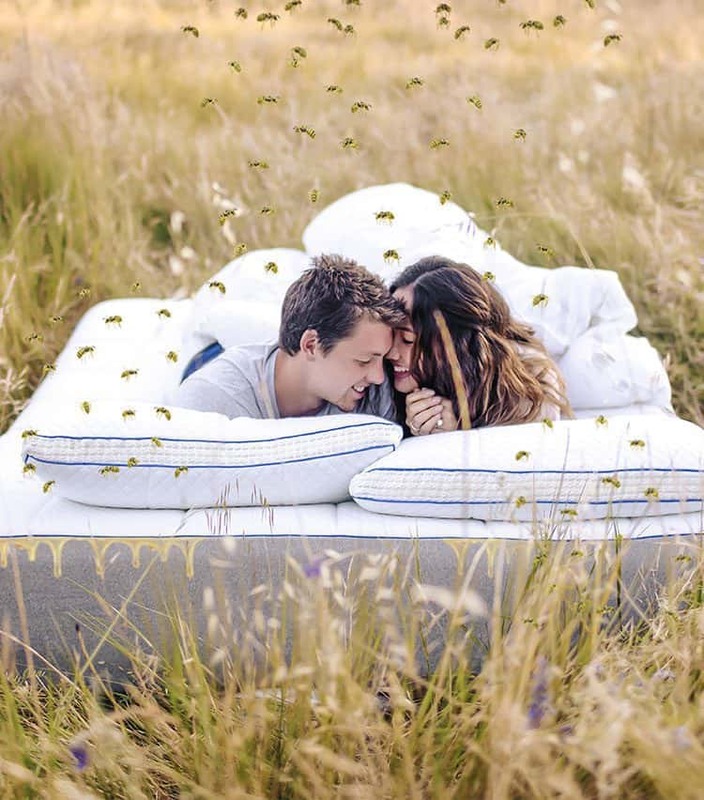 Inspired by apitherapy, our sleepologists combined the amazzzing powers of the honeybee with the latest sleep technology to create an unbeelievable mattress made from 76% honey, beeswax, and other bee products. In nature, royal jelly nourishes bee larvae. In our memory foam layer, it nourishes your skin. It also invades your dreams nightly with the sound of incessant buzzing. Bzz! Bzz! Worth it! The gel in our high-density foam + quilted foam is pure, raw honey, which has been used for centuries to heal wounds, soothe sore throats, and prevent tooth decay. So we filled a mattress with it! The base is crafted from honeycomb, with hexagonal cells that deliver both airflow and a delicious scent. For lasting comfort, each cell is reinforced with beeswax and propolis, a resinous goop made from bee saliva. The BumbleBed is wrapped in a custom cover woven with fibers spun from crushed bee pollen. Rich in vitamins, minerals, and enzymes, it improves concentration and imbues you with the power to talk to animals. Experience night after night of beeautiful sleep on a Nectar BumbleBed for yourself. Start your risk-free sleep trial today—you’ll have a full year to feel what all the buzz is about. Not the right fit for your hive? Our team of 40,000+ worker bees will swarm your home and collect the mattress for easy, if slightly frightening, donation or recycling. 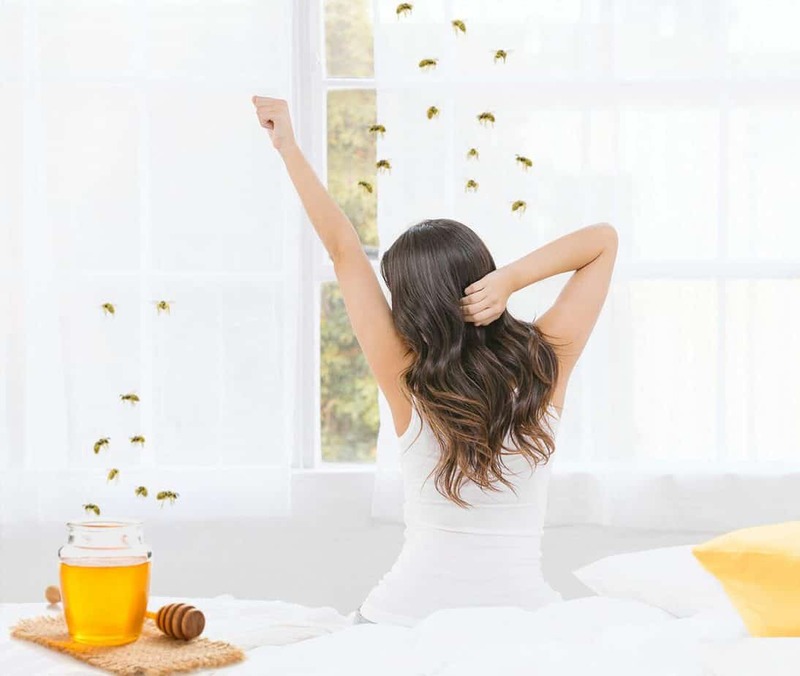 A sweet sleep experience is guaranteed for the life of the honeybee colony from which it was harvested, approximately 5 years. Upgrade for personal delivery + setup of an expert beekeeper who will administer highly-controversial Bee Sting Therapy nightly for a full week. From the support of the honeycomb base to the contouring comfort of the honey foams to my new ability to talk to muskrats, I could drone on all day about the benefits of this sweet mattress. Instead, I’ll just say: I. Love. BumbleBed. Or, as the muskrat would say, Eep. Eee. Yip. 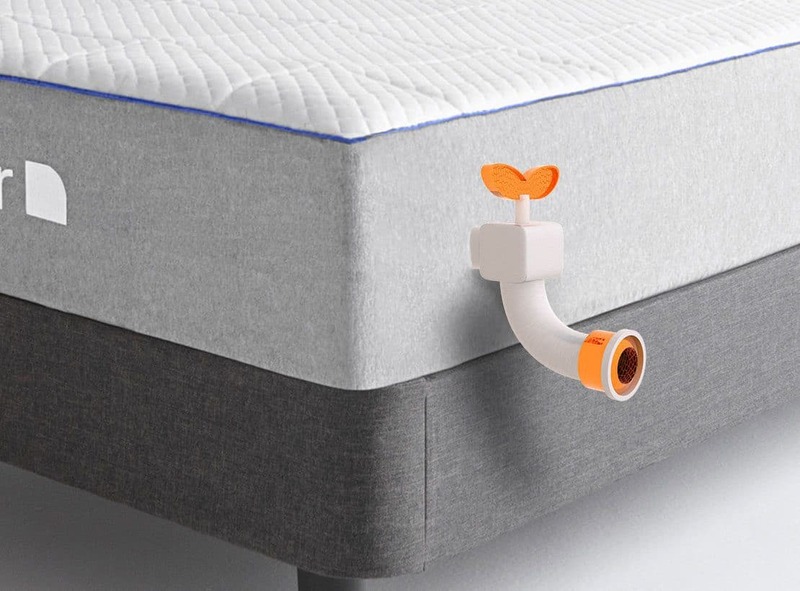 Add the BumbleBed Spout to your new BumbleBed! In just a few steps, you’ll have access to a personal supply of honey to top your morning oatmeal or sweeten your evening cup of chamomile tea. And with our Spout-It And Forget-It service, your BumbleBed’s honey stays at the optimal level with regularly scheduled refills. 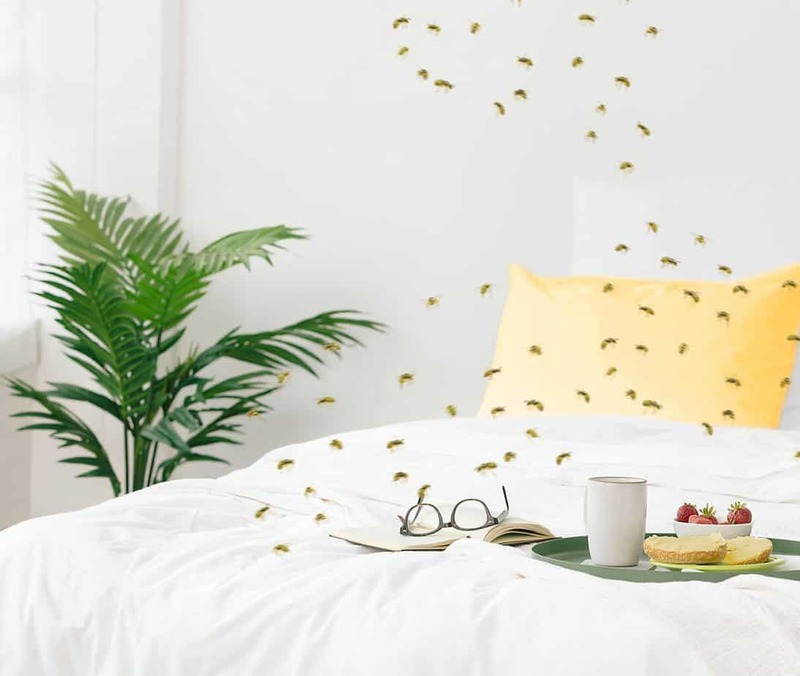 An unbeelievable sleep experience, only available April 1, 2019. Is the Nectar BumbleBed cruelty-free? Is the Nectar BumbleBed safe? During testing, side effects included eyelid pain, gout, shingles, sick burns, tendonitis, and infectious dance crazes. The delicious scent may attract lost bees, anthropomorphized British teddy bears, badgers that don’t care, and aspiring backup dancers. As with all honey products, the mattress will definitely crystalize and turn solid. To reliquify, place the Nectar BumbleBed gently in warm water. Please note, the Perennial Warranty is void if mattress gets wet. Is the Nectar BumbleBed for real? Definitely not. While great in tea, honey would not be so great in a mattress. 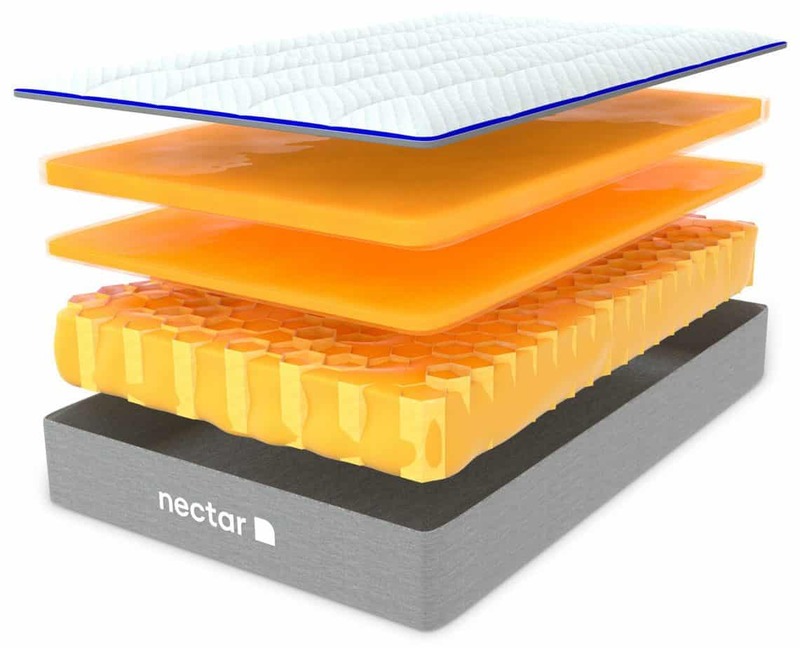 But since you’re here, check out the real Nectar, the highly-rated memory foam mattress crafted for every sleeper and backed by our Forever Warranty®. It’s 100% bee-free, no fooling. We’re sorry you fell for our little prank. The Bumblebed isn’t a reality, but a great night’s sleep is! 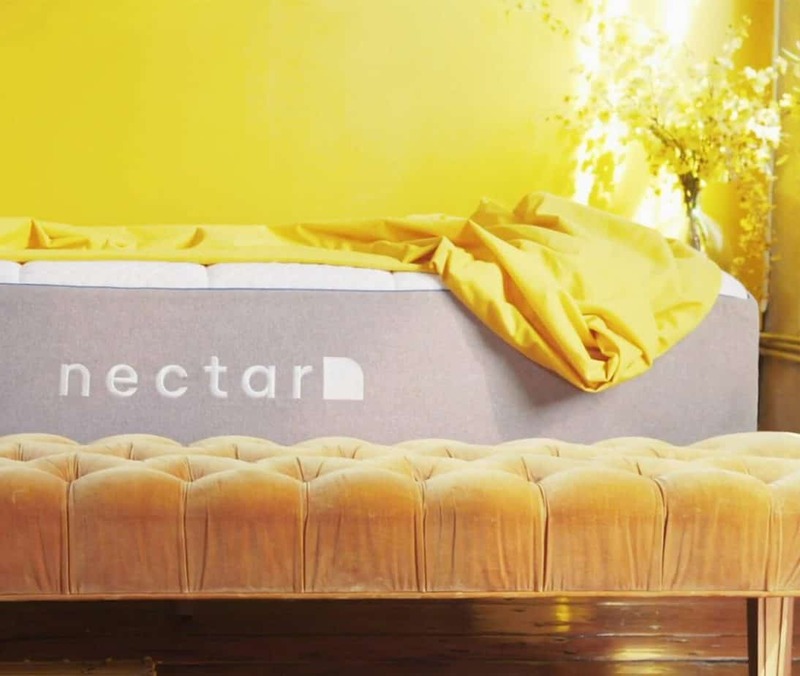 If you’re actually looking for an amazing mattress, let us treat you with $125 off the Nectar mattress with two free pillows using promo code aprilfools.